Covers the season of Christmastide, including Christmas Eve, Holy Innocents' Day, Winter and New Year, Epiphany, Homelessness Sunday, and Candlemas. 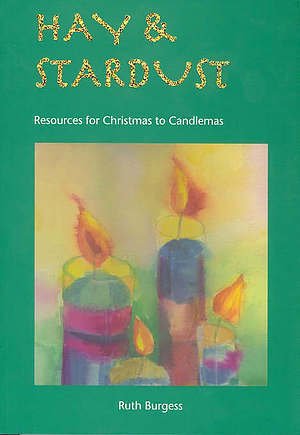 This is a companion resource book to candles and conifers. It also contains eight Christmas plays, including a puppet play. Hay And Stardust by Ruth Burgess was published by Wild Goose Publications in November 2005 and is our 15934th best seller. The ISBN for Hay And Stardust is 9781905010004. Be the first to review Hay And Stardust! Got a question? No problem! Just click here to ask us about Hay And Stardust.